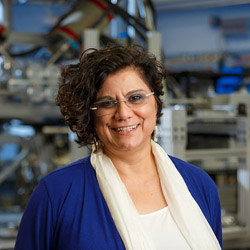 Prof. Ani Aprahamian, Freimann Professor of Physics, has been reappointed as a Board Member by Governor Dennis Daugaard to the South Dakota Science and Technology Authority. The reappointment is through December 2018. She has served on the board since 2009. The mission of the SDSTA is to advance compelling underground, multidisciplinary research in a safe work environment and to inspire and educate through science, technology, and engineering. Originally published by Shelly Goethals at physics.nd.edu on December 22, 2015.